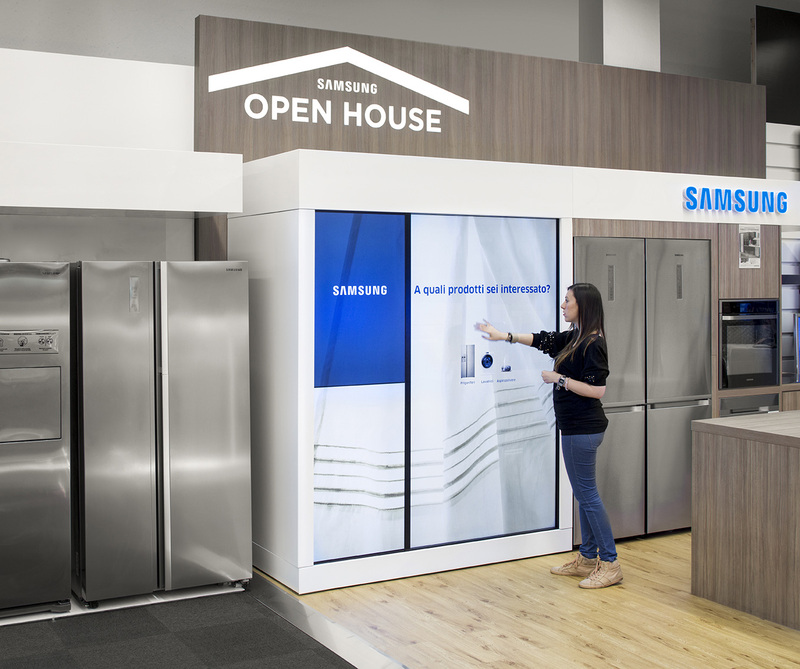 The partnership between Samsung, Cheil Italy and Grottini Retail Environments continues with a new project. 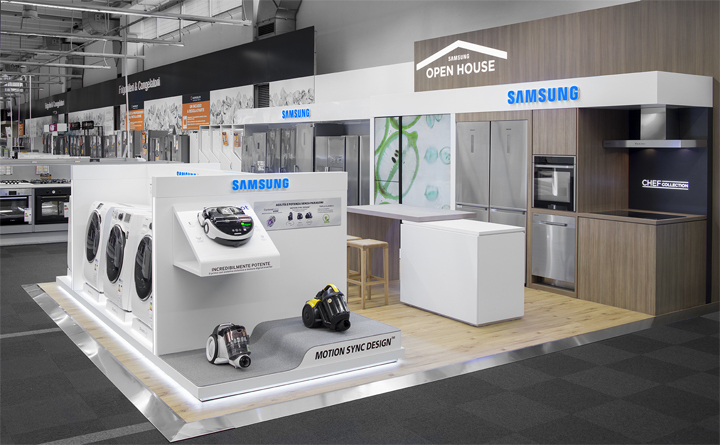 After their experience with the Samsung Shop in Shop, the three companies have collaborated again for the creation of Samsung Open House. 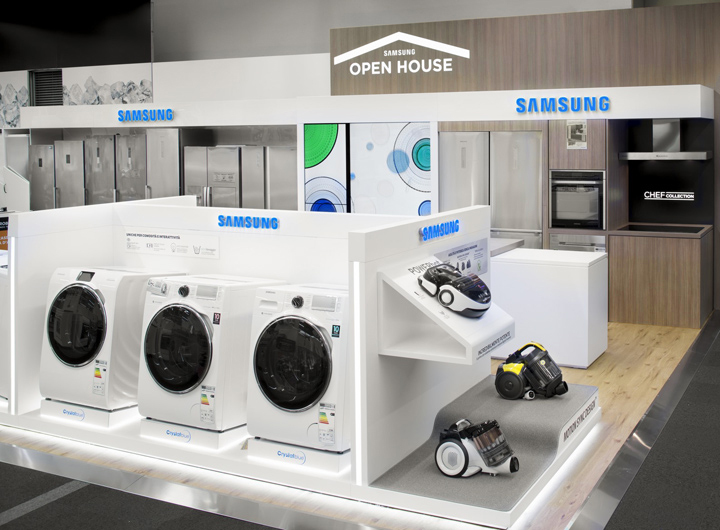 From refrigerators to ovens, washing machines, and vacuum cleaners, there are areas dedicated to the wide range Samsung appliances, allowing the customer to interact with products: touch screens at eye level guide them on a virtual tour allowing them to experience the functionality and features of each product firsthand. 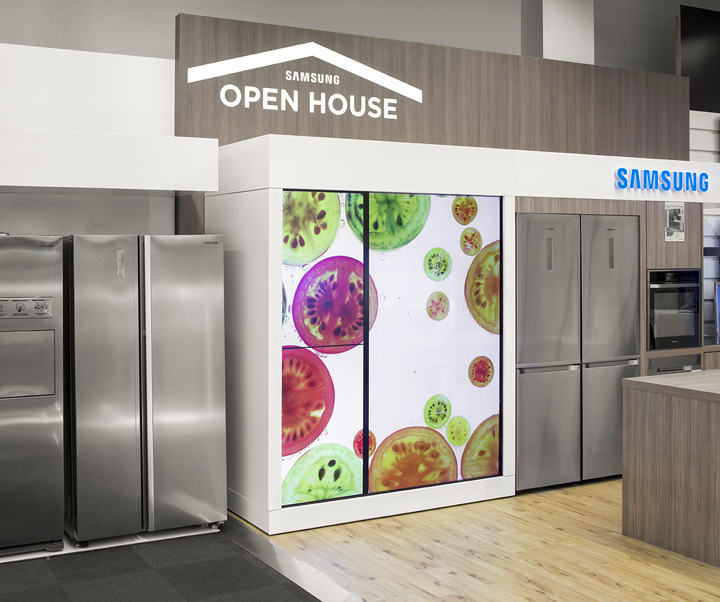 The first Samsung Open Houses can be found within Unieuro stores in Cesano Boscone (Milan) and Roma Muratella, Euronics stores in Como, Media World stores in the Roma 3 area, SME stores in Susegana (TV), Bruno stores in Misterbianco (CT), Pistone stores in Palermo, and will soon be found in other outlets as well.